I've come out of hiding to help announce the release of the IWSG anthology, Tick Tock: A Stitch in Crime. What a great theme! A big congratulations to IWSG and the contributing authors! Thanks for hosting the Tick Tock Mystery writers, Melissa! We’re all very excited about the upcoming release of the Insecure Writer’s Support Group anthology. When we answered the call for the mystery / crime / thriller genre submissions, the stipulation was that the story had to revolve around a clock, or be time sensitive or something related to a time theme. In the Tick Tock: A Stitch in Crime anthology, we have this definition covered at all different angles. A Stitch in Crime. A play on the old saying, a stitch in time saves nine. Meaning that taking care of a small problem now, saves a lot of work later. In this story, forging a link between this world and the next saves an eternity of separation. Three O’clock Execution. A man is convicted of murdering his wife—is there enough time to clear him if he’s innocent? A wrong result is irreversible. Until Release. The time theme at its best. Seven characters with different points of view converge until they meet at a certain point in time. Cypress, Like the Tree. The Cypress tree is symbolic of immortality. Immortality and time go hand in hand. Center Lane. What do you do when you know you only have 48 minutes left? The Tide Waits. Time and tide wait for no man is a saying that predates modern English. The premise fits this story perfectly. Even the rich and powerful have to answer to the tides. Heartless. 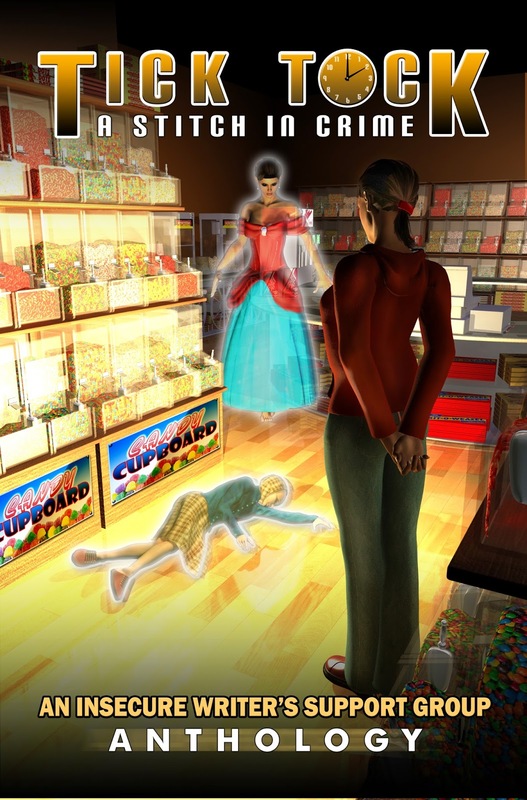 With countless girls already dead, the race is on to find the next victim before it’s too late. A classic mystery/time theme. One More Minute. About the extra time you need when you can’t say goodbye. The minute we all wish we had. Reset. A wrong needs to be righted. Don’t we all wish we could travel back in time to change something? The Little Girl in the Bayou. History is about to repeat itself unless a girl can be reached in time. Gussy Saint and the Case of the Missing Co-ed. Gumshoe at its best…but can the hard-boiled detective account for his time when he becomes a suspect? We hope you enjoy our stories. There is a variety to choose from in nearly any mystery/crime/thriller sub-genre. It’s on pre-sale now at all major venues and will be released on May 1st by Dancing Lemur Press. Can a dead child’s cross-stitch pendant find a missing nun? Is revenge possible in just 48 minutes? Can a killer be stopped before the rescuers are engulfed by a city ablaze? Who killed what the tide brought in? Can a soliloquizing gumshoe stay out of jail? And it is now up for Pre-order. Get your copy today!